Higher electricity prices resulting from increases in the price of coal and the high price of in EU green energy certificates could lead to higher inflation, rate setters warned on Wednesday. After keeping Poland’s reference interest rates unchanged at 1.5 at their December meeting, the economists on the National Bank of Poland’s interest rate setting body, the Monetary Policy Council, warned that they will need to observe inflation figures in March in order to see the effects of possible hikes in electricity prices. Power bill hikes will affect manufacturers and high users of energy, such as KGHM copper smelters, as well as public transport providers like train and tram operators, rather than lower-earning consumers, who the government is intending to protect from increases through subsidies from the receipt of higher payments for green energy certificates required by. 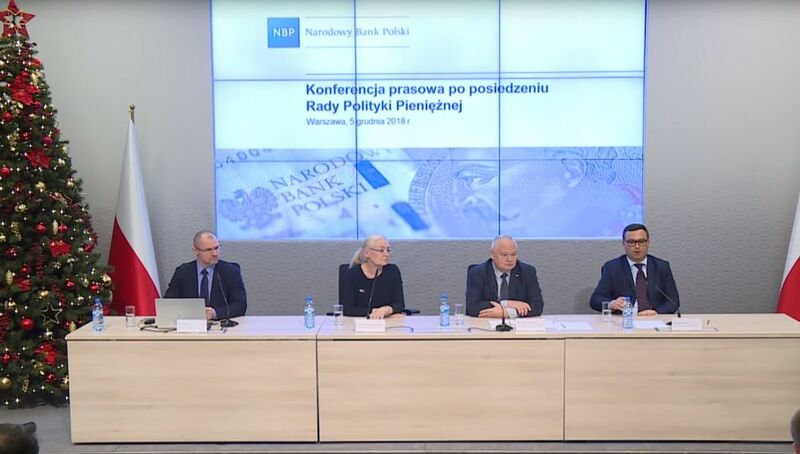 The Chairman of the National Bank, Adam Glapiński, said that increases in bills are not likely to be as high as 12 percent, but the actual figures remain to be seen. On the other hand, as oil prices have fallen over the past two months, lower petrol prices may counteract other inflationary factors. He warned of serious declines in global market forecasts, with Germany, Poland’s largest trading partner in particular, in line to experience lower growth next year. So even though he saw risks of higher inflation, Prof Glapiński said the council had decided that other factors lower demand worldwide soften demand. Council member Grażyna Ancyparowicz again repeated her concerns about two factors potentially affecting inflation: electricity and the new Employee Capital Plans (PKK), which she said would raise wage inflation after their introduction in 2019. Under the new retirement scheme, companies will have to match employee contributions of between 2-4 percent, leading suppliers to put up prices.